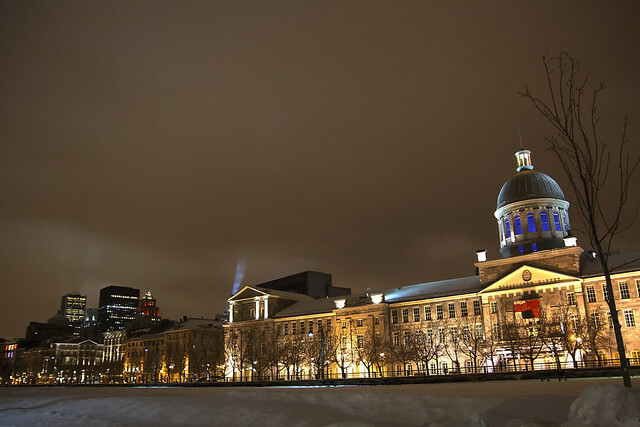 Vue de nuit de Montréal, en HDR 7 JPG. Beautiful city. I hope I get to visit it soon. Wonderful image, love your processing here! Love the result of this long exposure, especially the illumination of the front of the building and the bleu light under the dome!